WALNUT WOOD FLOORS & GRAY WALLS! So early this morning at 7am, Rolando came over to take a look at my wood floors and to give me a quote on replacing them. Rolando, a flooring contractor, seems like a very nice man. Was happy to meet him. It was raining quite hard this morning when he came over. He wiped his feet on the door mat, came in with a nice smile and proceeded to examine my floors. Rolando got down on his hands and knees, knocked on the floors with his fist and looked at every nook and cranny. The diagnosis was that because of the buckling and some water damage, it is indeed time that I change my wood floors. I knew that but it was good to hear someone else say it. Then Rolando asked me what I wanted as far as wood floors. I immediately said “herringbone wood floors please”. He said “that is very expensive”. Uh oh. Anyhooo…we went over some pictures of what I liked…as far s color (a brownish gray or grayish brown) and texture (slight distressed with wood texture showing) and type (I want real wood…he offered up engineered and I said no thank you). Walnut floors it seem can be a very rich brown in color with red undertones. Rolando said Walnut is pretty but can’t be changed to light wood if down the road I decide I want a change of color in my floors. As I said, this color floor shown in this British home won’t quite work in my little tiny cottage in the Hollywood Hills (I need a little darker with a bit more gray) but I can appreciate how these floors look. I like the Walnut floors paired with the whisper gray paint on the walls in this home in Britain. The combo works. Take a look. What do you think of the Walnut herringbone wood floors and the gray walls…does this pairing work for you? Or is it slightly off? What color wood floors do you have in your house? Please comment below. P.S. Rolando is coming back Sunday morning at 9am with some samples and a quote. I can’t wait to see the samples. I am afraid to see the quote. Wish me luck! P.P.S. Hope you have a great Friday and a good weekend! I quite like the Chevron floors. Tres retro chic. Such a lovely home!! The floors are beautiful but you are right about the wall color it does need more depth and warmth. There’s a great paint company from the UK called The Little Green Company that has beautiful colors and totally healthy/green. Let me know if you’d like some Expert Color / Design and Feng Shui input. 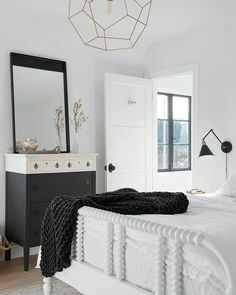 I could go to town with this room and with a few changes it would click. Love the floors and the wall colour. I agree it needs more warmth but think you could achieve this with cushions, rugs, lamps etc. Amaizing fireplace – i want this in my appartment! I live in SA, TX and I have dark chocolate brown engineered floors on my entire first floor. With our cement slab, I was told it was impossible to put real wood (which is what I really wanted). That being said, I LOVE the color and the way it looks with my white slip colored furniture, but I HATE the maintenance. It shows every dust ball and dirt smudge! Good luck to you in whatever you decide! Theose floors are AMAZING and I will have them in my dream home someday. They a so parisian looking to me. Glamorous but relaxed. The color palette was great too but doing them darker and more grey will look even more fabulous. I would have light floors. I have them in my house and it is very forgiving with dust. You just don’t see it. See the Nate Berkus floors in his NY apartment. Having said that, I thought I would ask you to avoid using “anyhoo” instead of “anyhow”. You use that expression too often and it is not as playfully casual as you mean it to be. Cheers! Walnut herringbone floors will definitely be installed in my ‘Barbie Dream House’ one day, unless I am lucky enough to find a house that already has them! On another note: Have been following your blog for a while now (not a blogger myself) and I just love your conversational tone, your design aesthetic, your varied postings and your textile line (am saving my pennies for a throw.) Yours is one of my morning must-reads with my coffee. Thank you! Thought you would enjoy the last photo on this post. The detail around the vent is original to this vintage house in Crystal Lake, IL. I believe the home is now used for corporate events and accommodations–although it’s a modest home in a modest neighborhood.